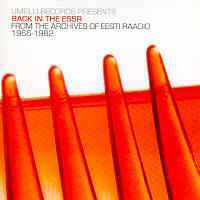 From The Archives Of Eesti Raadio (Estonian Broadcasting Company) 1966-1982. Most of these songs have never been released before. Päikesepaistelisel Päeval: (V. Ignatjev) - ? This compilation is absolutely outstanding. The fact that most of the songs are unreleased is insane. Thanks to Umblu for uncovering these gems. Highly recommended buy!